Letters / Sheepy Saturday: Thanks, Norway! Here’s the press release. Enjoy the video links. Explore Norway from a sheep’s point of view! 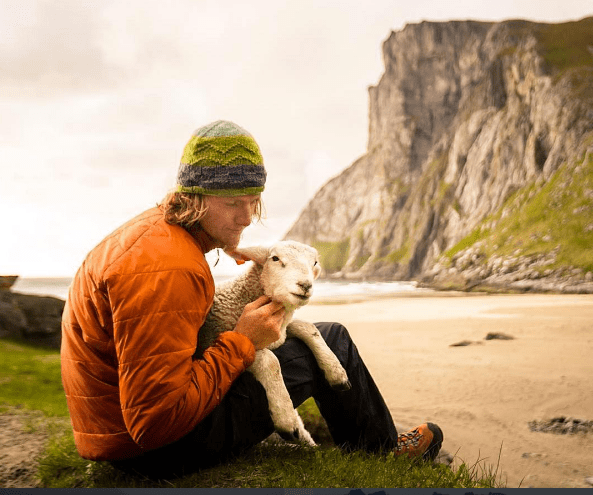 and see what Norwegian lifestyle is all about – from a sheep’s point of view. landscapes as in Norway. Every year 2 million sheep are released into the forests and mountains in Norway without any supervision. Their mission is to help protect the cultural landscape. They are free to roam pretty much anywhere, including into cities and villages. In other words, Norwegian sheep live the good life, an experience to be shared. 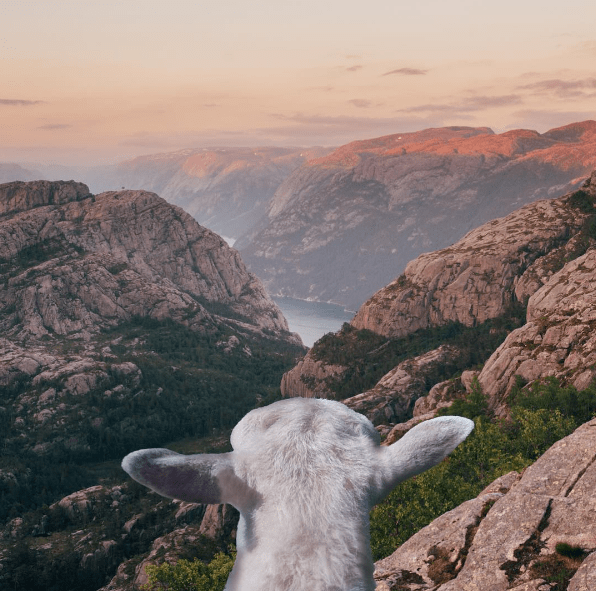 This summer, four sheep in different parts of Norway are ready to take you on a tour of their everyday lives, whether they are roaming the spectacular fjords, the beautiful beaches, or the green inland or the high mountains. They even have their own cameras and a joint Instagram account, #sheepwithaview, as well as a page on visitnorway.com. Follow our sheep this summer and see Norway from a whole new perspective! Our sheep will have many followers, but these are not sheep who follow the flock! Our four explorers have been carefully selected because they have distinct preferences and personalities and a unique outlook on life. Each one is a true representative of their part of the country. Erik is a laid back sheep who truly enjoys the southern Norwegian vibe. His favorite pastime is to hang out on beaches and makes friends with other animals at the Kristiansand zoo. Frida is an active explorer, who wants to reach as many majestic mountain tops as possible. She loves a good selfie and is a sworn metal fan. Lars is a traditional sheep who is most comfortable when things stay as they used to be. You can tell he’s a foodie, that’s why he pastures on the Golden Road. Kari is an active and sporty sheep who just can’t sit still. She loves a good surf and getting friendly with local reindeer. Check out Visit Norway’s Facebook page and the #sheepwithaview video. Let’s enjoy the weekend, and each other, and knitting, and funny videos, as much as we can. 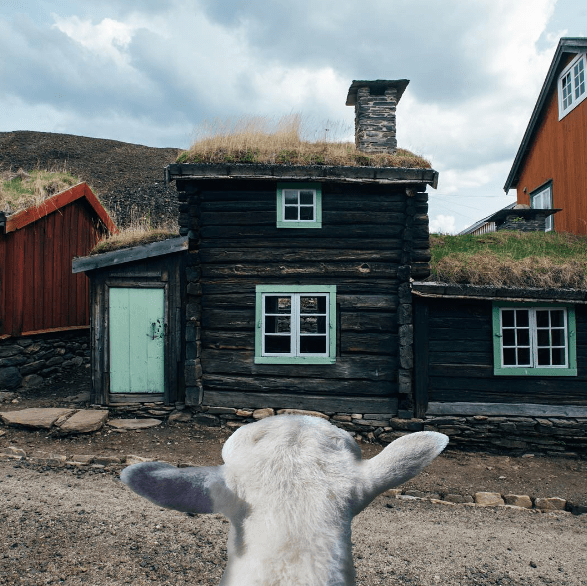 A recent knitty blog has a link to the Faroe Island sheep with cameras that are mapping the Island a la Google Street, complete with GPS. There is also a link to Google sheep – enter a location and see any sheep there. Kay, you’re not thinking of free-range sheep in Central Park, are you? The thought did occur. It’s called the Sheep Meadow innit? Thank you! What a fun post to wake up to. I hope the cameras don’t damage the fleece! Poor sheep, no more privacy. What fun! And a welcome respite from the happenings right now. And especially today as I prepare to go to a funeral service for a dear friend this afternoon. I am off to check out the IG page and videos. Simply fabulous…so proud to have Norwegian heritage. This is yet another reason to visit there; I hadn’t even thought about the sheep angle before this! Thanks again for opening our eyes to marvelous things. 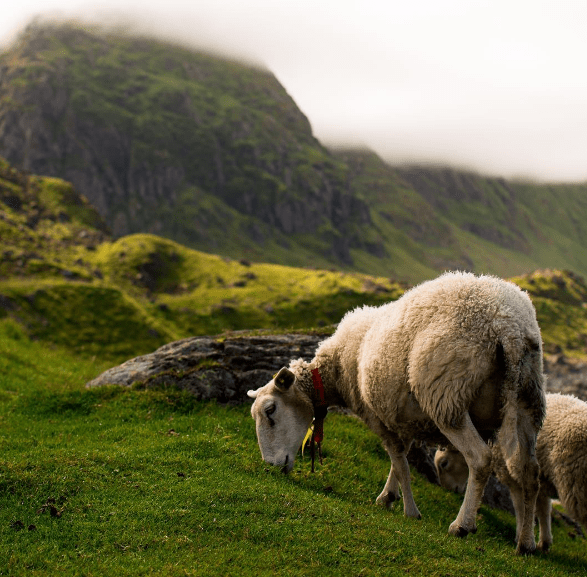 Speaking of sheep cams, I hear some folks in the Faroe Islands are using them to help with the Google Street View of their villages. We’re calling it Google Sheep View (although, if you Google that, you get Google Street View images that happen to include sheep. Love this! Thank you so much for sharing! Great way to start the day! Have a nice weekend. Thank you so much for finding and sharing this! So clever and hilarious. Where do Arne & Carlos fit in to all of this? and all I can think about is “Sheep in a Jeep on a hill that’s steep.” If you have children of a certain age, you’ll remember that book …. and wow, there is another Gail! This is AWESOME!! Thank you! But I’m worried that if they release 2 million sheep a year, how do these sheep every get sheared? Is that a problem for the sheep? (Clearly, I’m a worrier.). So what the fleece happened to the large predators? I could not love this more. Thank you! Beautiful…just beautiful…and so very peaceful to watch…a blessing after watching video from Nice. Thanks so much for sharing! Best ever. So needed right now. Thanks. It’s Sunday morning, and I just watched a youtube video of the Faroe Island project – did you see the FAB sweater the lovely gal was wearing? Stripes, (cream, turquoise, navy, etc. ), made of a bulkier weight wool, perhaps a single ply, stockinette with a garter strip at the color changes, apparently simple construction. Who will make up a pattern for this?! I’d like to knit it! Thanks for passing this along to us – such a great idea! Mary Z here. So glad you shared this with readers, Kay. I visited Norway a few years ago when writing a magazine travel piece and saw zero sheep in Oslo and Bergen. This weekend we’re visiting friends and family in the Midwest. Thursday night we saw someone walking two sheep on leads down Lake Avenue in Glenview, Illinois. Might have to check YouTube to see if they have their own feeds. On to more sheep spitting in Iowa! Yes I’m married to a Norwegian man, though I am a native Atlantan. We spent one summer biking down the coast of Norway and were, on several occasions, stopped on the road by flocks of sheep, and once by six cranky goats who would not let us pass. These animals were just out there on their own. No apparent authority in view. Having fun and moving s-l-o-w-l-y across the road. I write to you from a tent on the Olympic Penninsula having just returned to the land of wifi. As my daughters and I backpacked up to Upper Lena Lake this weekend that just was, we bumped into a family of wild and ornery Mountain Goats. My question is: does anyone knit with Mountain Goat fiber? Oh my goodness. I just remembered. We backpacked Iceland last year and woke up one morning with sheep (unsupervised) chewing on our tent. I was hoping to befriend them, but everyone else in the party just wanted to preserve the silly tent. So Iceland is a great spot to meet sheep, if that’s what you want. Well it’s things like this that make me so, so happy you are back to blogging on a regular basis! !